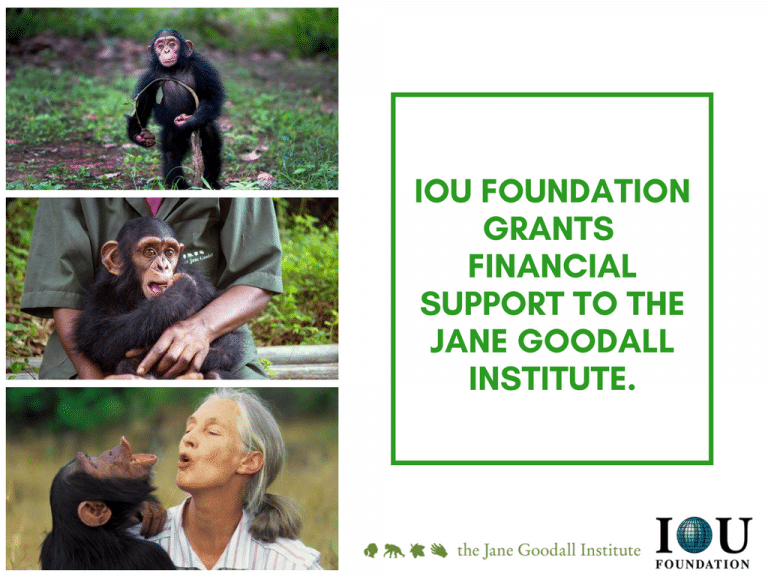 In its bid to make this world a better place, the IOU Foundation is proud to extend its support to a global wildlife and environmental conservation organization, The Jane Goodall Institute. Founded in 1977, the Institute has been continuously working towards protecting wildlife animals such as chimpanzees and other primates from hunting and illegal trafficking. IOUF came in contact with this esteemed organization with the help of its alumnus Dr. Bremley Lyngdoh. Dr. Lyngdoh has been associated with The Jane Goodall Institute since 2000 when Jane Goodall became an advisor to the Global Youth Action Network co-founded by him. IOUF along with its consortium partners the Universidad Azteca and the Universidad Central de Nicaragua are pleased to be associated with The Jane Goodall Institute.